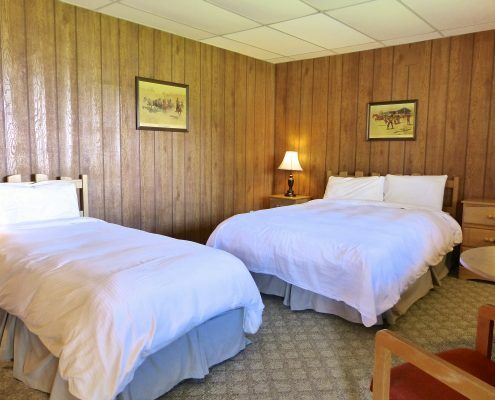 Great Beds and Air-Conditioned Comfort! 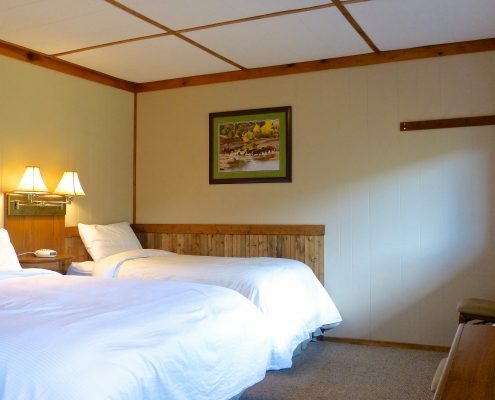 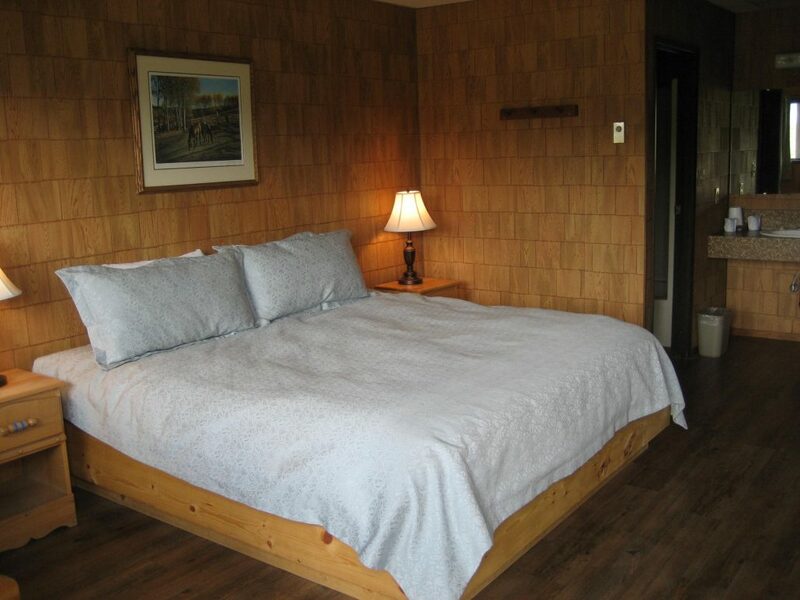 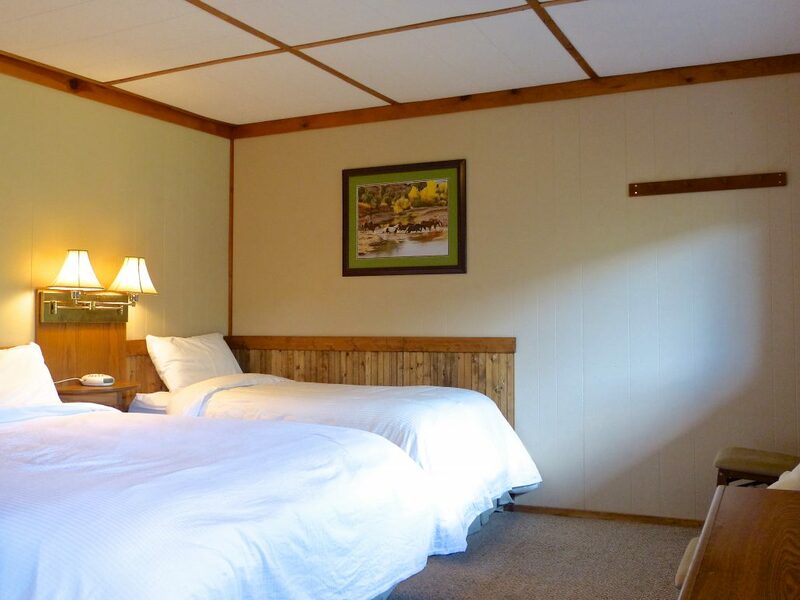 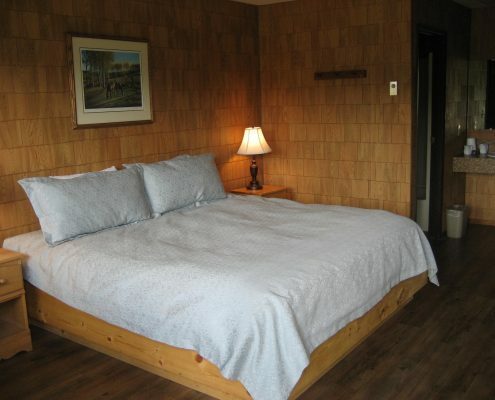 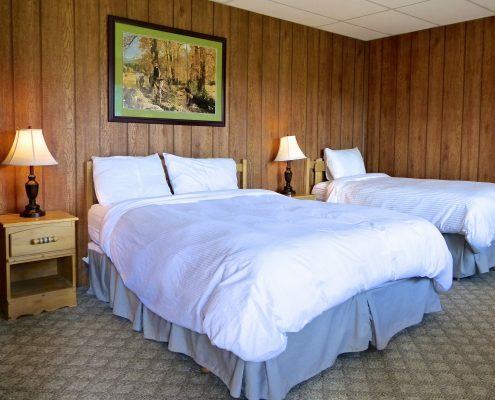 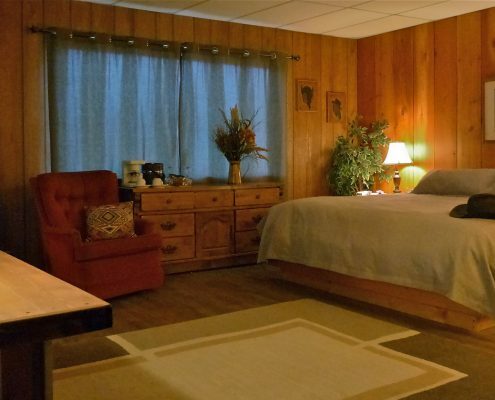 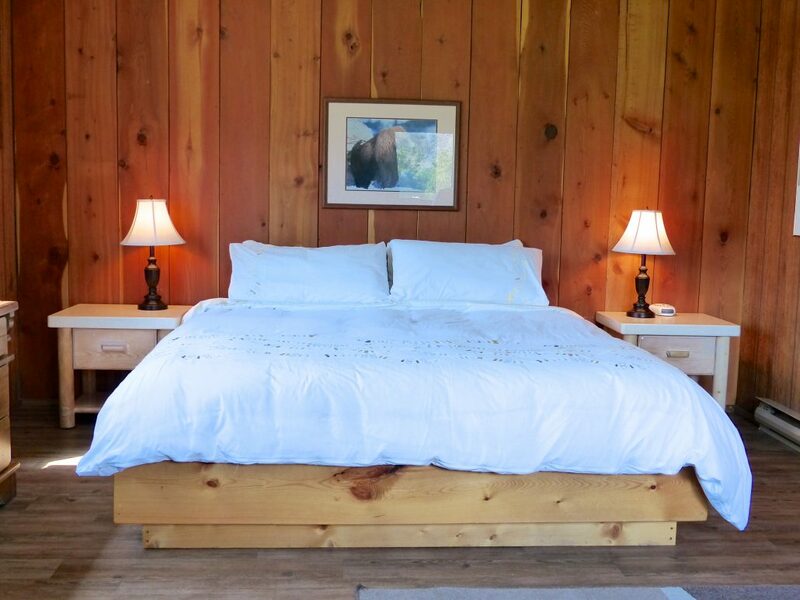 The ranch is on a single level and each room is accessible from a covered wooden boardwalk. 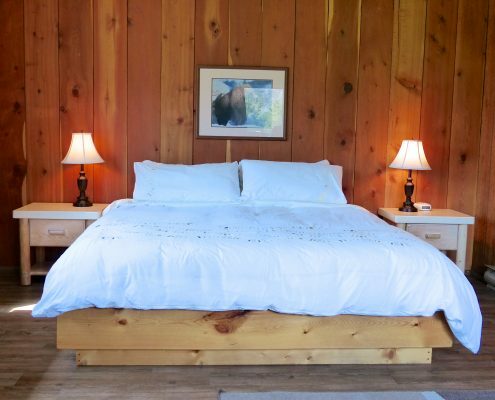 “Roughing it” may sound romantic, but it doesn’t always feel so good! 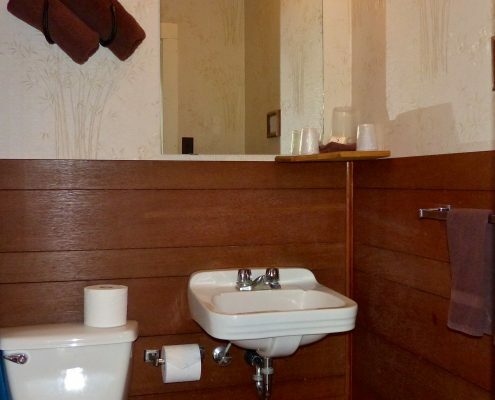 This is why all of our rooms are air-conditioned with full private bathrooms. 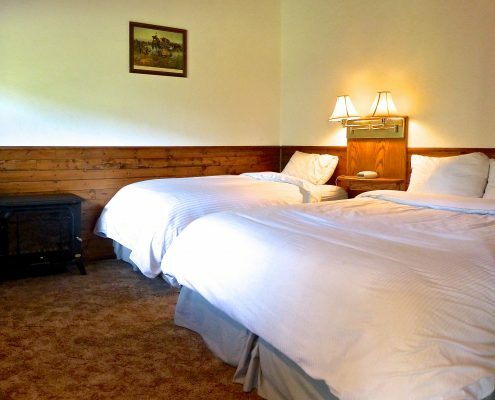 We have three King rooms available at Sundance. 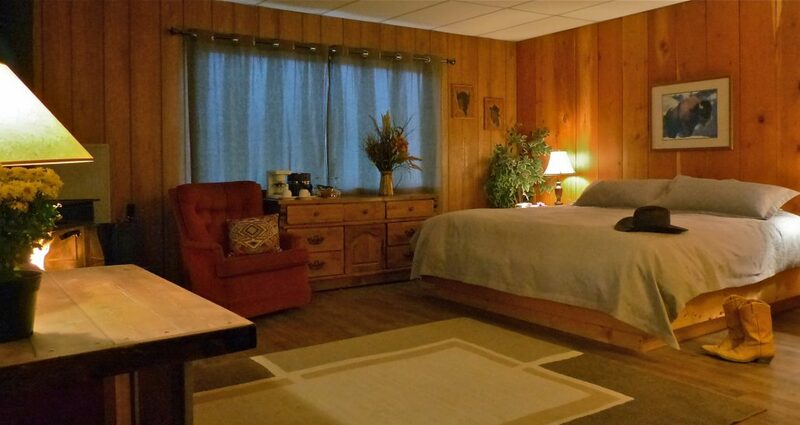 These rooms are larger than a standard room and feature a king-size bed. King rooms also have extra amenities including a mini fridge and coffee making facilities, and have a surcharge of $25-50 per night (flat rate, not per person). Our standard rooms have two queen beds, or a queen and a single bed, with space for a roll-away if required. 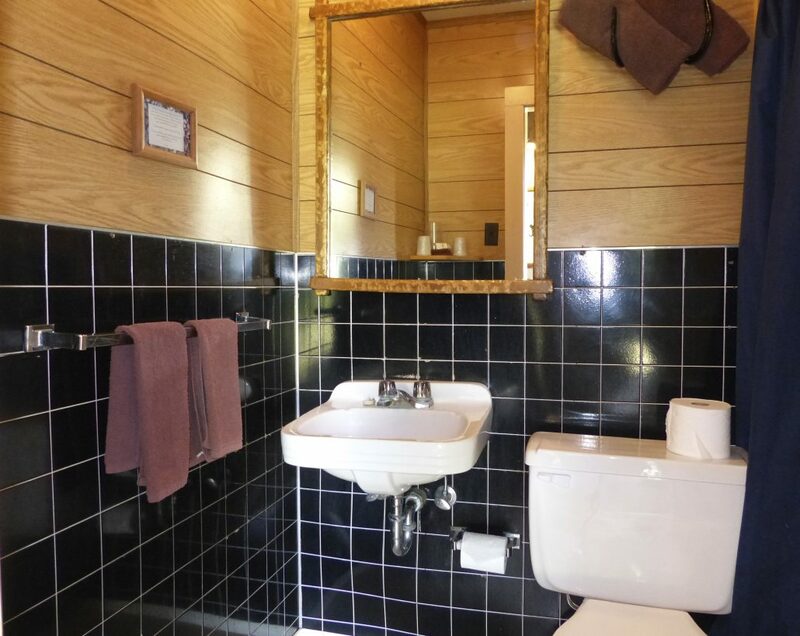 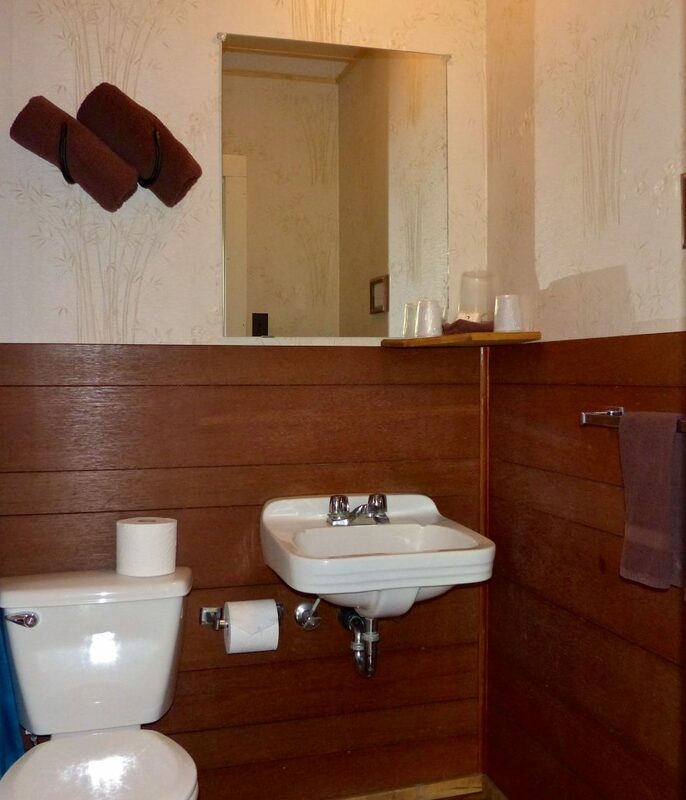 All standard rooms feature their own en-suite bathrooms. 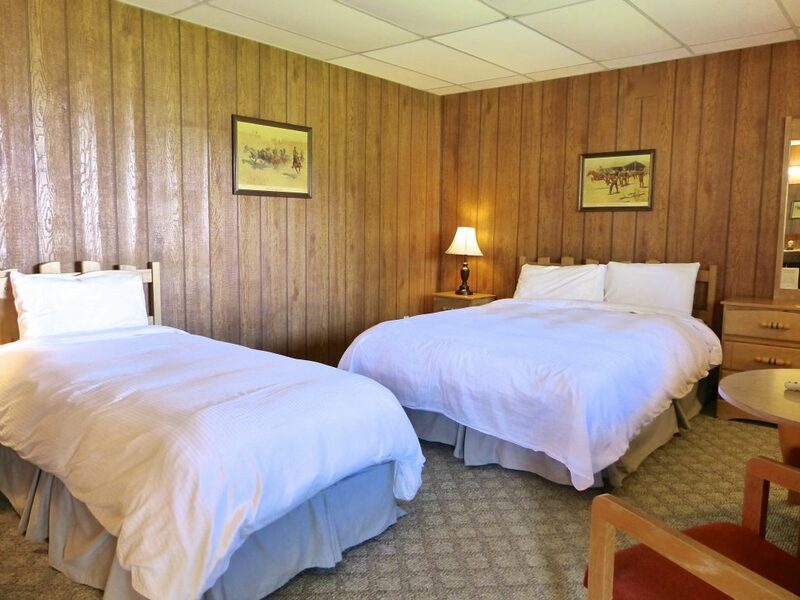 Standard room requests are accepted at the time of booking but cannot be guaranteed.